DTN Ag Policy Editor Chris Clayton reported Wednesday that, “Conferees on the farm bill understand the economic challenges facing farmers and want to get a farm bill done to provide certainty — a popular word among them — to farmers and rural America. 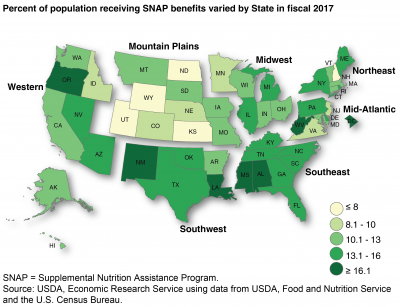 With respect to the SNAP program, Chairman Roberts indicated that, “I share the goal of promoting work and self-sufficiency among SNAP participants. “And, we can find ways to work toward that goal by improving the program. Investments in employment and training that demonstrate success, partnerships with the private sector, and more accountability can all help get folks back on the path to long-term employment. 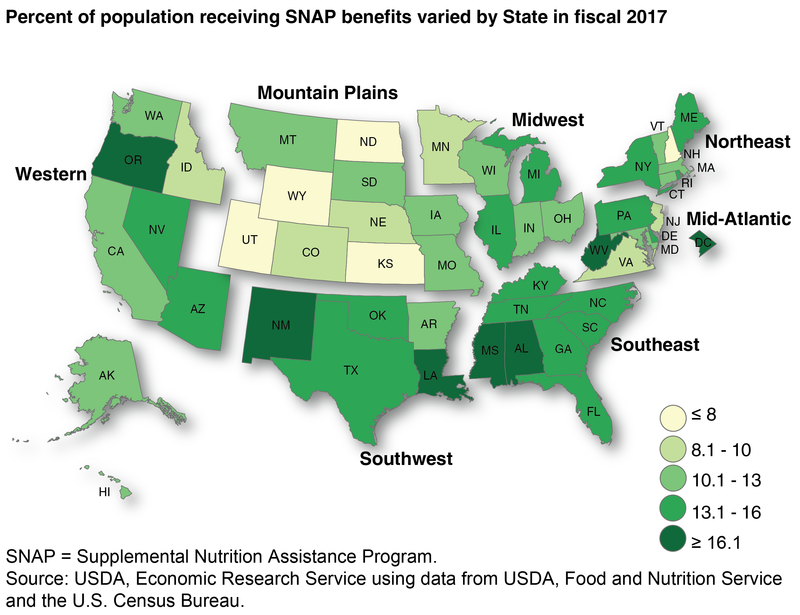 “Percent of population receiving SNAP benefits varied by State in fiscal 2017.” USDA- Economic Research Service (August 28, 2018). Meanwhile, in his opening remarks, House Ag Committee Chairman Mike Conaway (R., Tex.) noted that, “There are certainly areas of disagreement between the two chambers—disagreements that stretch far beyond the nutrition title and are plainly reflected in our respective versions of the farm bill. But the good news is that I have seen no disagreement that should prevent us from completing a strong farm bill on time. Even on SNAP, I have repeatedly stressed that we are willing and able to come to consensus with the Senate. 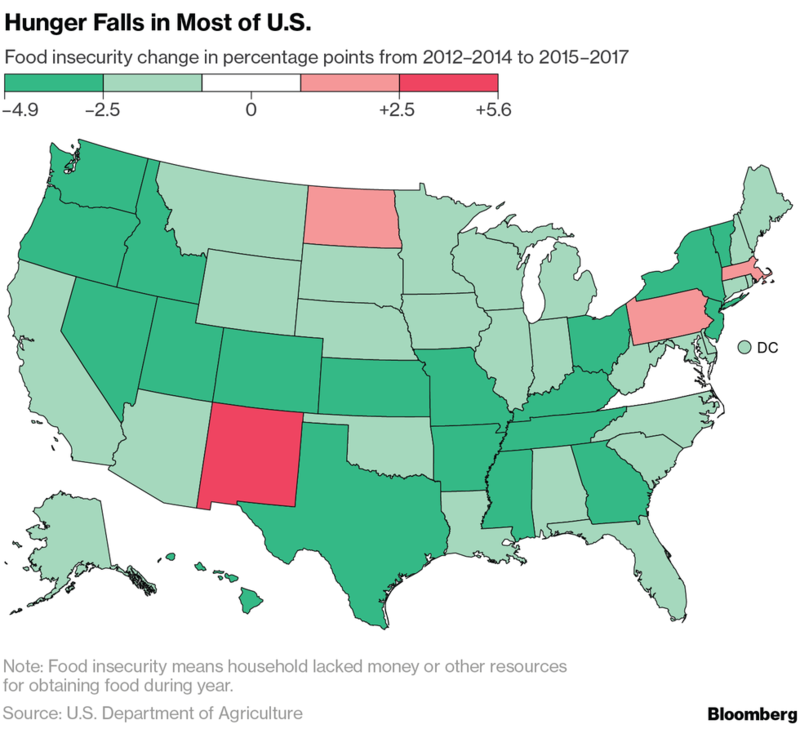 Bloomberg writer Alan Bjerga discussed the ERS report in an article from Wednesday, where he reported that, “The number of people facing hunger in the U.S. declined last year to the lowest since 2007 as unemployment fell, a key data point as Congress debates changes to food-aid programs as part of farm legislation. “U.S. 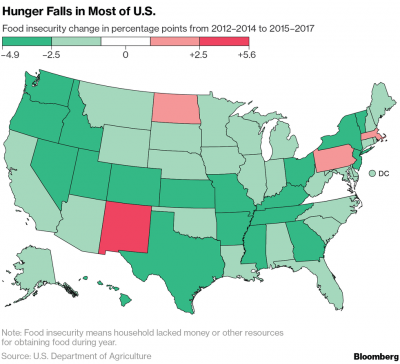 Hunger Is at Lowest in a Decade,” by Alan Bjerga. Bloomberg News (September 5, 2018). On a hurried ag policy call before SCOTUS nomination hrg starts this morning, @ChuckGrassley says he's urged administration to approve year-round E15 before election. Also says willing to vote against farm bill if conference strips out his language tightening payment limits. Today's update looks at the latest activity by the House Agriculture Committee on the Farm Bill, a listening session held earlier this week in Texas.